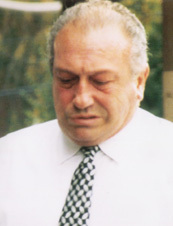 The ex-acting Boss of the Genovese Organized Crime Family Daniel Leo “The Lion” was sentenced Tuesday in New York to 18 months in prison and ordered to forfeit $1.3 million in illegal proceeds. Leo pleaded guilty in January to conspiracy and participation in the affairs of the Genovese Organized Crime Family through a pattern of racketeering activity, including loansharking and illegal gambling offenses, the U.S. Attorney’s Office said. His sentence is to run consecutively to his 60-month sentence resulting from a conviction in Manhattan federal court on extortion charges in October 2007, the U.S. Attorney’s Office said. Posted: 3/23/10 at 3:09 PM under News Story.